Since 2009 we travel to Japan yearly in April (skipping only 2011 because of the Tsunami). 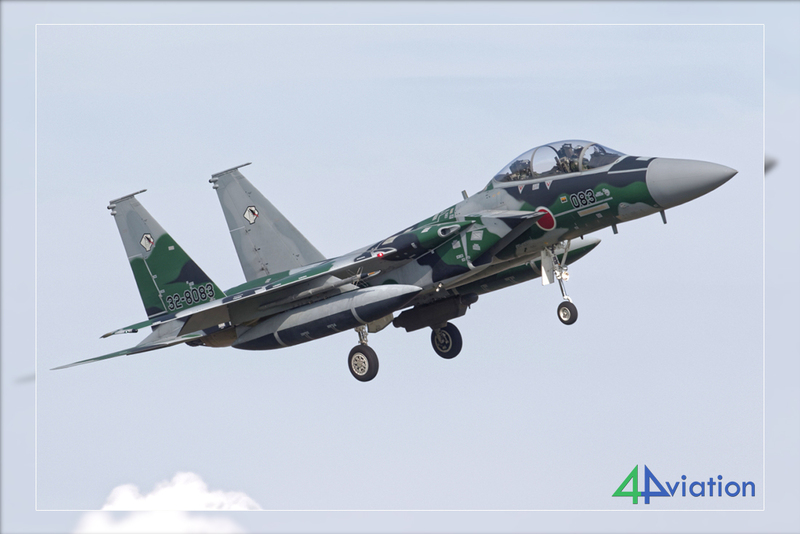 Due to realignments of several major JASDF units we decided to alter our signature itinerary and add a few bases in the north (Misawa and Matsushima) again and skip a few, now less interesting, in the far south (Kanoya and Nyutabaru). On Saturday 15 April 2017 all 9 participants of the 4Aviation Japan tour met at Schiphol at the well-known meeting point where everyone received their boarding pass for the flight to Narita. Bag drop and security were efficient so we were well in time for boarding a KLM-Asia triple-7 that would take us to Tokyo. We landed at Narita on schedule (Sunday 16 April). The landing formalities went smooth and even all bags arrived. Very quickly we found ourselves at the rental car agency. After completion of the paperwork, a quick lecture on operation of Japanese GPS’es and loading of the vans, we set off for our first destination of the day: Kasuminome. 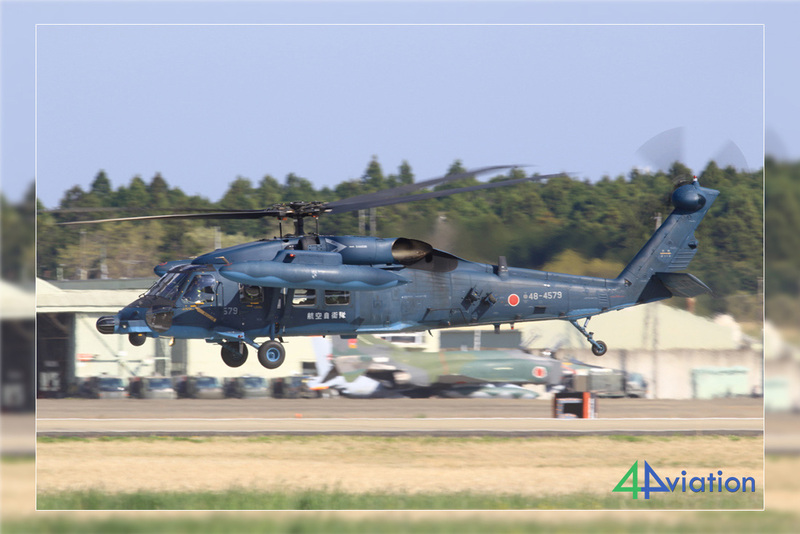 This Japanese Army base had their annual open house on this date. Only issue is that these days tend to end around the middle of the afternoon and Kasuminome is not exactly next door to Narita. Luckily for us traffic was light and around 13:45 we arrived at the base, in time to catch the static before all was packed away. It turned out to be a nice, low key event where we were allowed to stay near the active platform to watch and photograph the visiting helicopters depart. A good start of the tour! 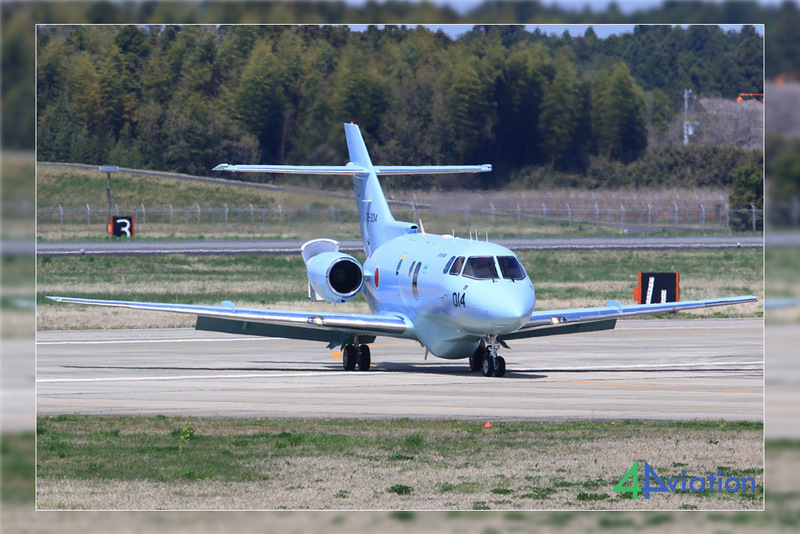 After Kasuminome we continued our journey further north as Monday we planned to visit Misawa. After a second couple of hours of toll-road all travellers were very happy to reach the hotel and catch up with much needed rest. On Monday 17 April the sun was up early, just like most of us, and so was a cold and blustery wind. 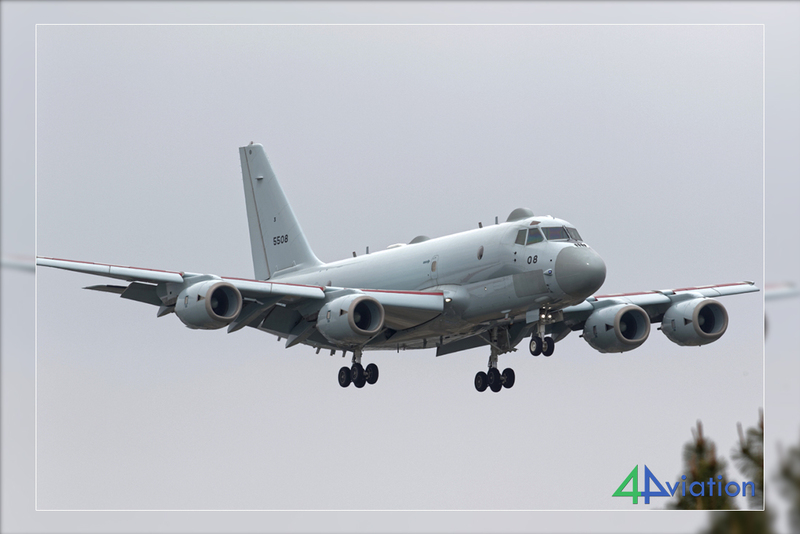 We departed from the hotel around 7 AM for a first stop at Hachinohe to catch a few Japanese P-3s. Upon arrival here we logged 8 P-3s on the platform of which 1 was starting up and getting ready to depart. 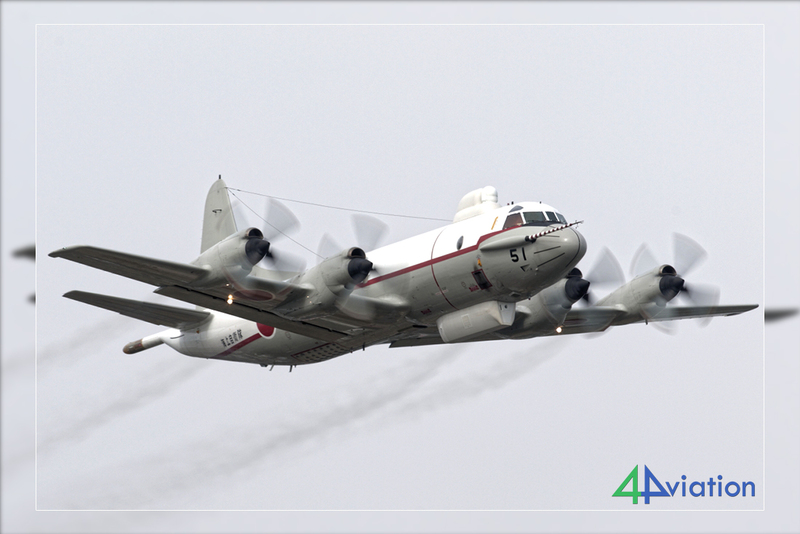 After this P-3 took off, we drove over to nearby Misawa. Initially we headed for the terminal roof terrace to see from which runway direction they would be operating. Today’s take-offs and landings all had an easterly heading. Flying activity was quite good, with plenty locals (both Japanese and US) and some interesting visitors mixed in. After lunch, we relocated to the west landing area and continued to enjoy plenty activity. Around 16:00, as it was getting overcast and cold, the group decided it was enough for today and we set off to the next hotel closer to Matsushima. In the morning we were greeted by low clouds and persistent rain on Tuesday (18 April). 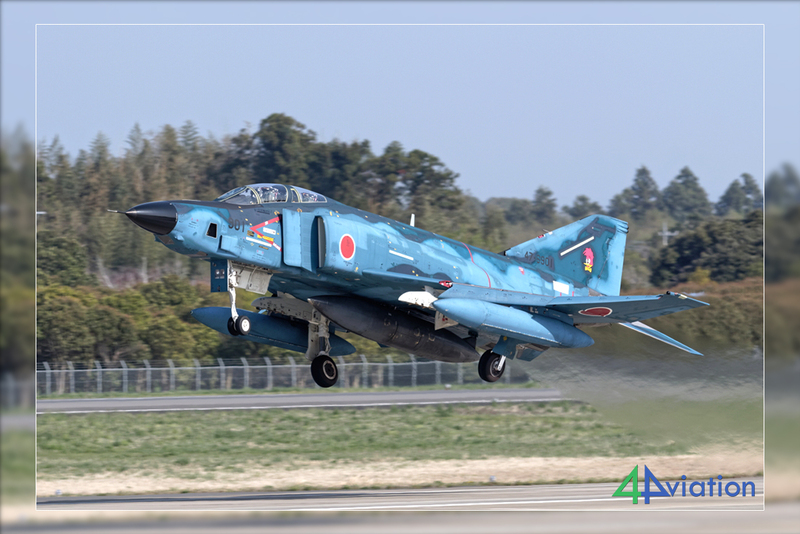 Not ideal as we planned to enjoy some of those rather dark blue F-2s at Matsushima. Upon arrival at the base, at least the rain receded. To keep our moods high, there was plenty of activity on the platforms, both with the rescue flight and 21 Hikotai. After waiting around, one of the local spotters informed that the 1st wave of the day got scrubbed, but that the forecast was good enough for flying later. Good! That gave time to score a cup of coffee and get ourselves back in position to catch take offs. 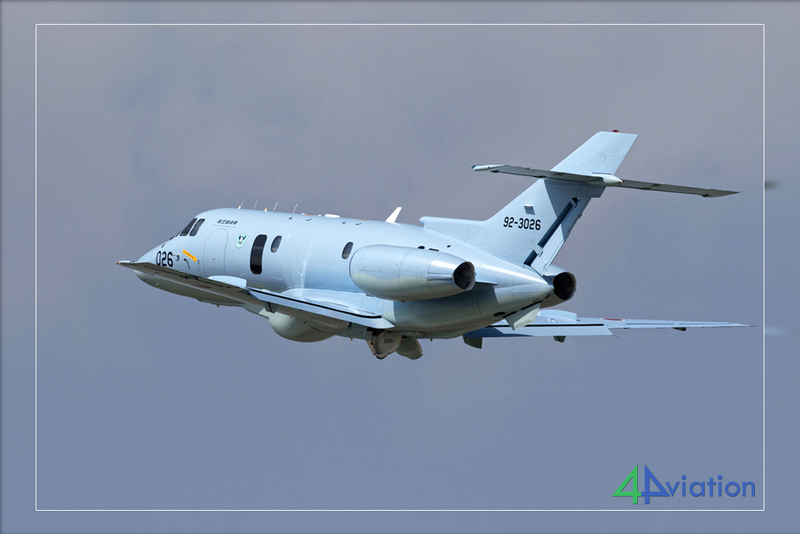 The weather rapidly improved and first activity was a T-4 departing. He was quickly followed by 4x F-2Bs taking off. We repositioned to catch the landings, hoping for drag chutes. After about 45 minutes, the wave of F-2Bs returned. Unfortunately no chutes but they entertained us nonetheless. After the 4 taxied back, Blue Impulse took off and trained certain elements of their demo. 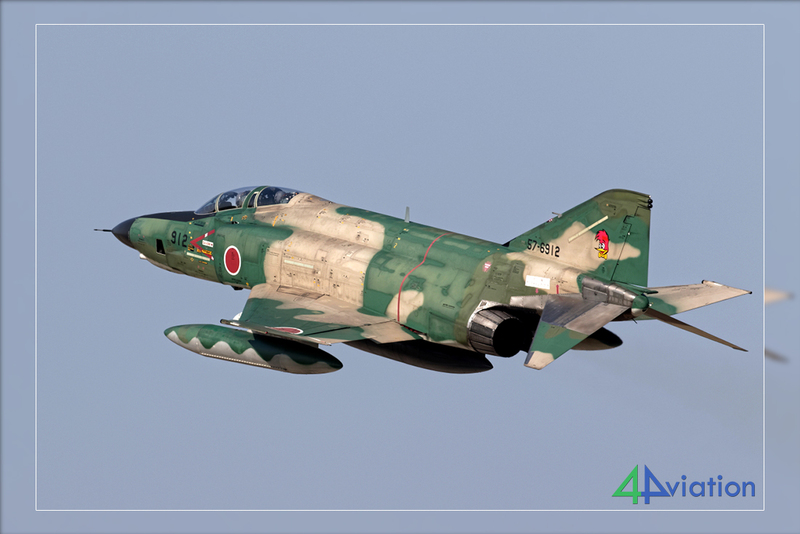 Around 15:00, another wave of F-2Bs took to the air. They returned about an hour later in now beautiful sunshine. Once activity was finished, we departed for another few hours’ drive to our next hotel as tomorrow was to be Phantom-day. Wednesday 19 April was “Phantom”-day and the weather was in our favour. Our host met us at the agreed hour for pre-arranged access to the towers. 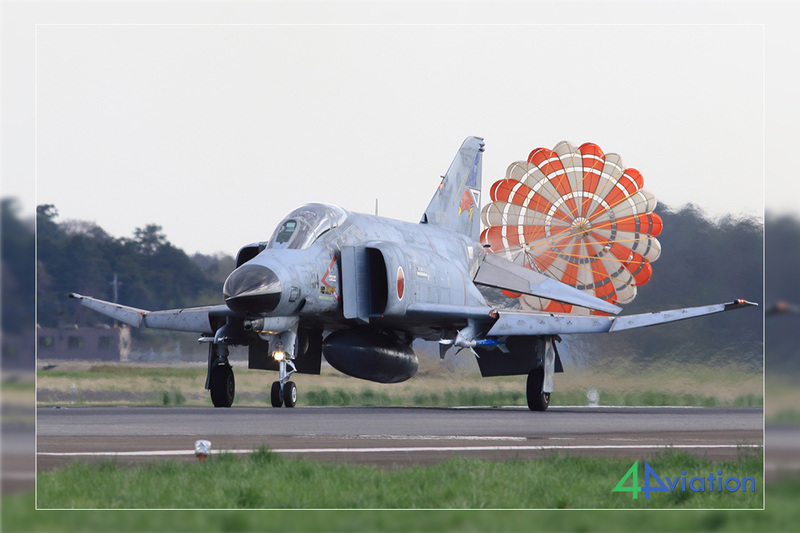 Around 8AM the first wave of Phantoms took off already. Flying activity was very good and both runways were in use. Wave after wave of 301, 302 and 501 Hikotai kept us entertained. 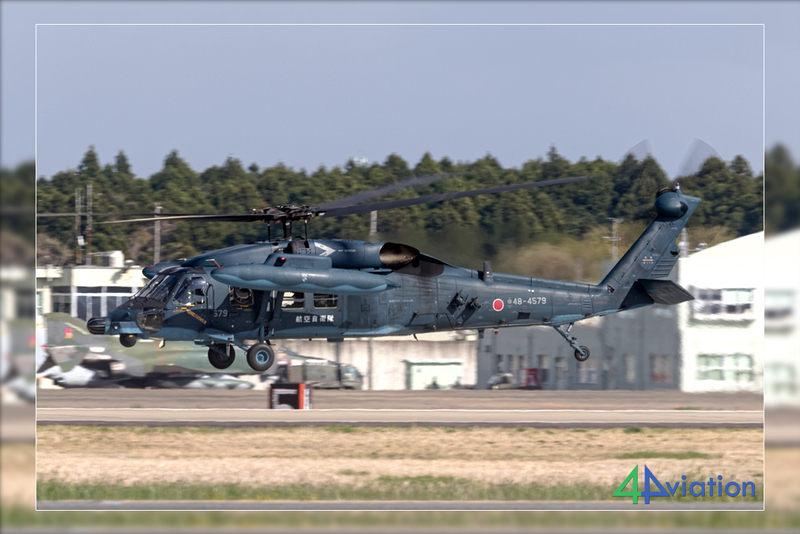 As added bonus, 501 Hikotai flew with all 3 different colour schemes they have. Around 11:30, as the sun position became unfavourable at the towers, we relocated to the mid-runway point at the other side of the base to catch the afternoon activity. Added benefit is that one gets some different angles. Around 1600 hours, flying was over and we packed our gear to drive to our next hotel in a northern suburb of the Tokyo metropolis. 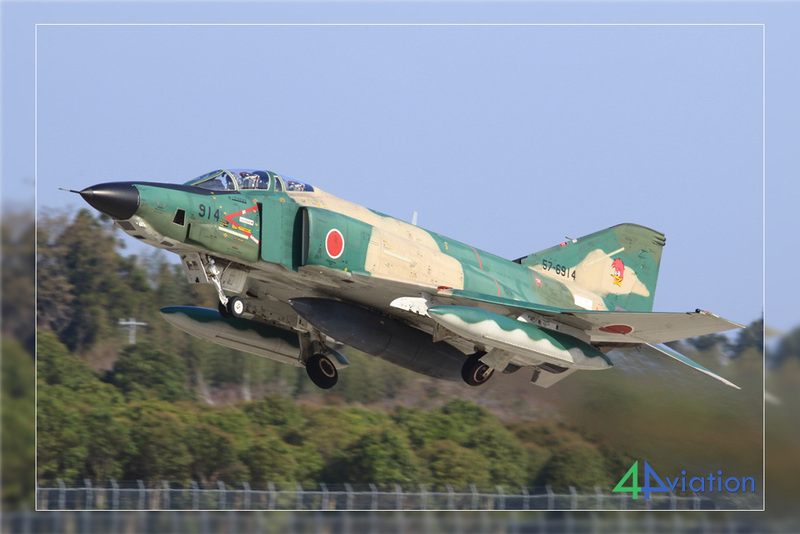 We had another early start on Thursday (20 April) to ensure we were in time at Iruma. But, Tokyo traffic had other ideas. After spending way too long in crawling traffic, we arrived at the base with only minutes to spare for the first departures. This morning’s launches brought us a diversity of aircraft rarely seen: T-4s both grey and white/red colours, YS11s in 3 versions, C-1, EC-1, etc. After roughly an hour, the field went quiet and we boarded our vans direction Atsugi to spend the rest of the day. 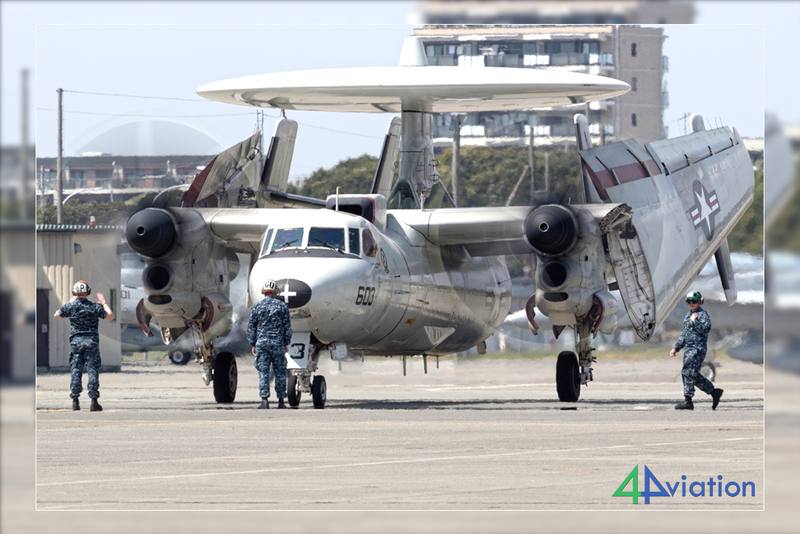 At Atsugi we encountered the usual, very varied mix of US and Japanese Navy aircraft. 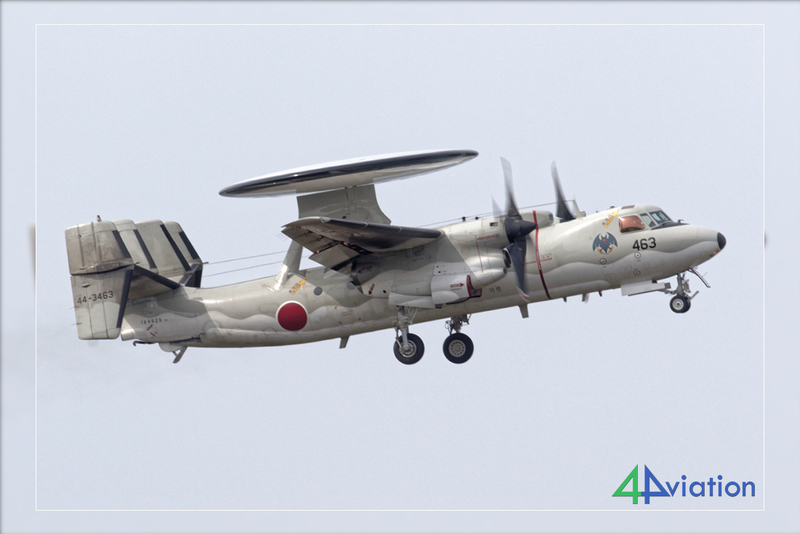 Highlights were probably the commander full colour VAW-115 E-2C as this squadron is about to be relocated back to the USA and the white and red Japanese UP-3. Friday (21 April) was again to be a full day. We had an early start at Shizuhama. 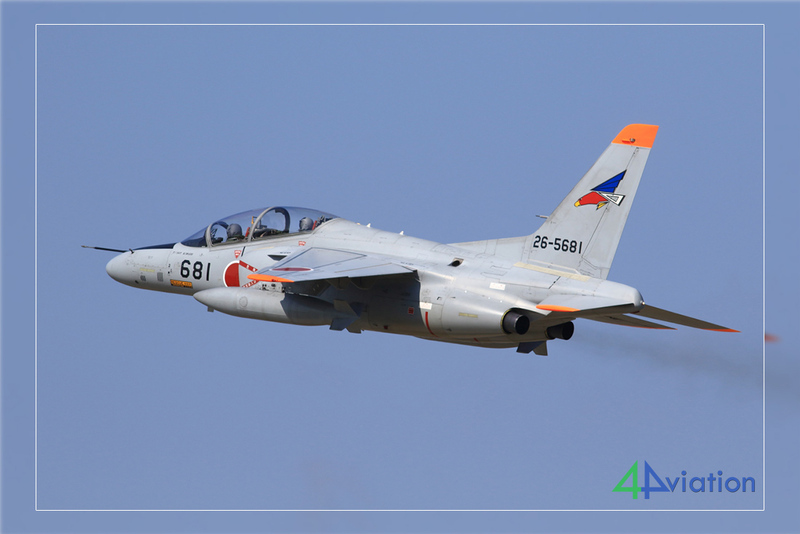 Around 8AM the first T-7 trainers were already circling around doing touch and go’s. We watched operations for a while before we set off to Hamamatsu to hopefully land our fair share of based T-4s. Upon arrival, the T-4s were indeed active and to our surprise there were a number of Blue Impulse jets on the platform. 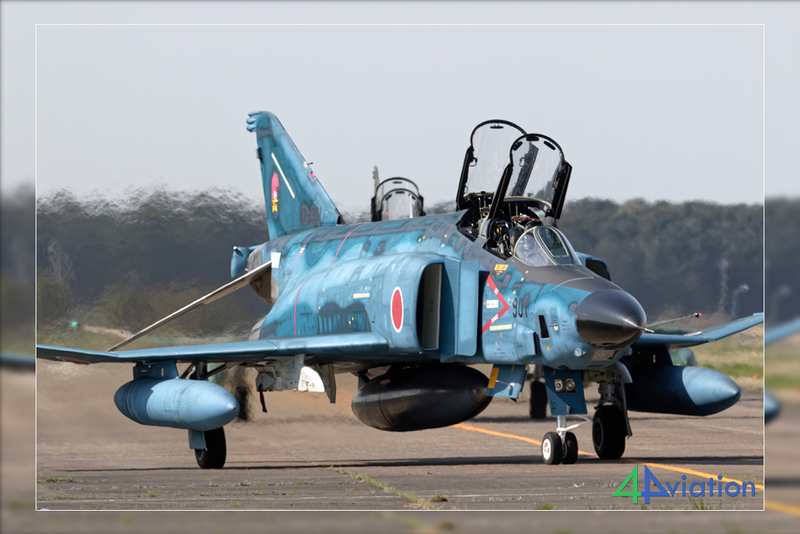 A local spotter informed us that the team was expected for a lunch and fuel stop on their way to Kyushu. A bit later, two more Blue Impulse jets landed. During a (late) lunch hour we visited the museum after which we waited for Blue Impulse to depart and then drove off to have a look at Nagoya-Komaki before the weekend started. 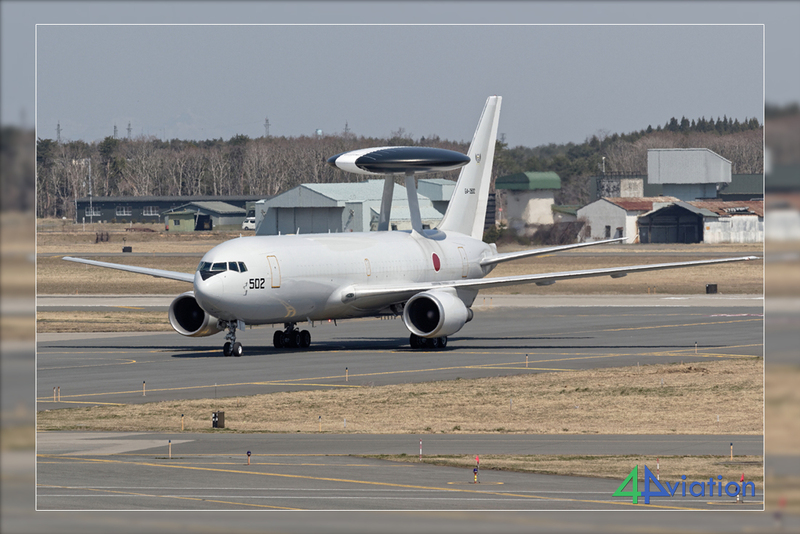 As soon as we parked up our vans at Komaki, a KC767 came in to land immediately followed by an overshoot of a Gifu T-4. Various helicopters from government services and police came back in for the weekend. 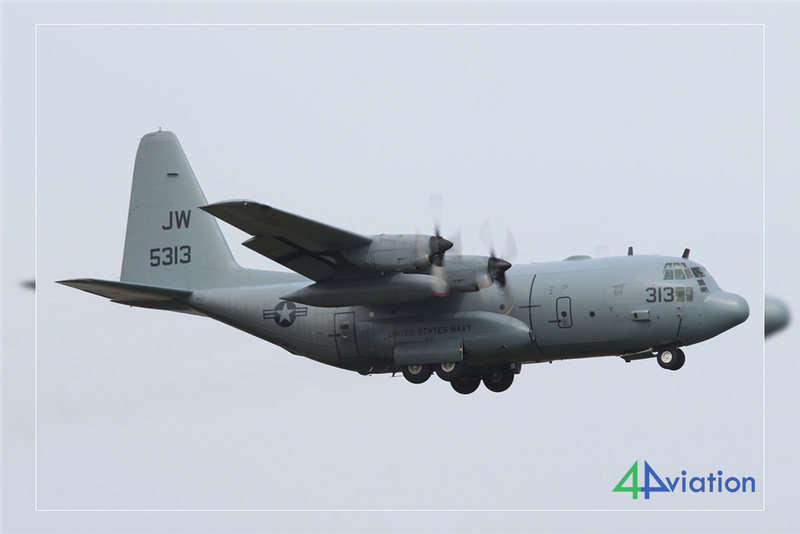 After having taken a look at the platforms from the park at the north west side of the airfield, which yielded 3 KC767s and a bunch of C130s, we continued our journey south in the direction of Hiroshima. From our hotel we still had quite a drive to reach our destination Iwakuni so we set off around 8 o‘clock on Saturday 22 April. 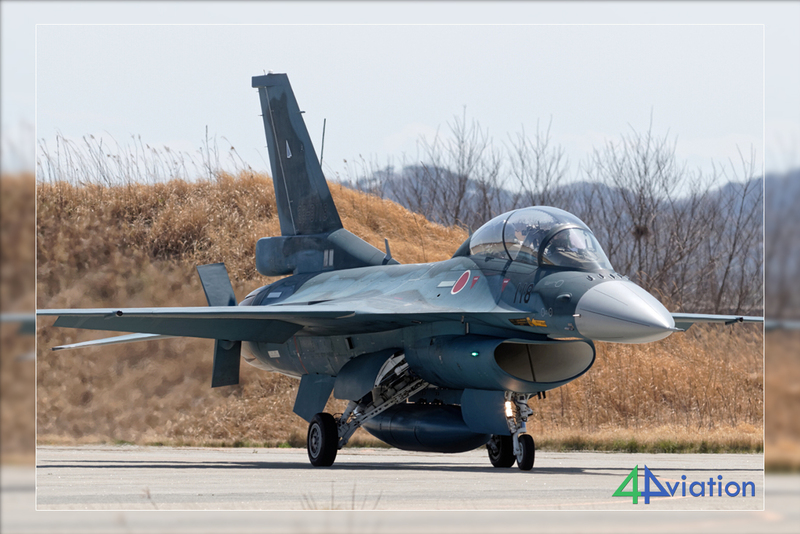 At Iwakuni one can stand quite nicely on a seawall at the end of runway 20. The other end of the base is unapproachable over land. 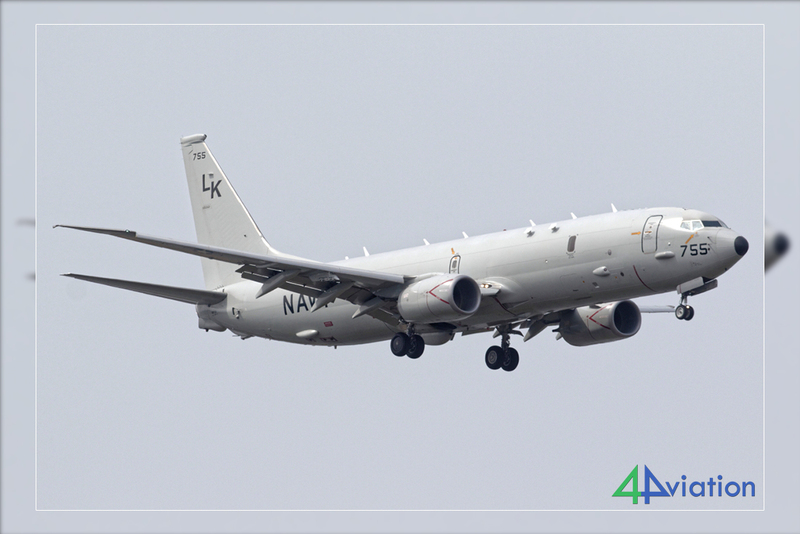 Interesting movements this Saturday were pattern work by a P-8 and an F-35B test flight. As a NOTAM informed that on Saturdays the base is closed from 1600 local, we packed up and drove to our hotel for the night. 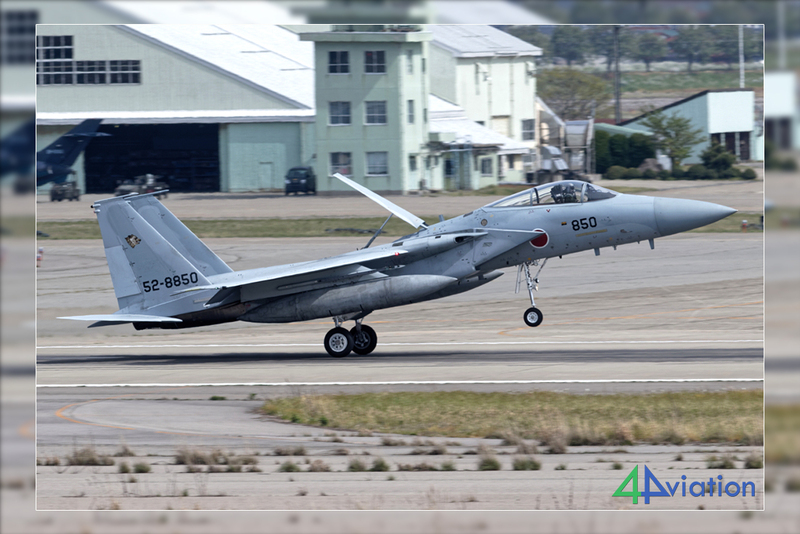 Per the earlier referenced NOTAM, Iwakuni would reopen at noon this Sunday (23 April). Therefore we kicked off the day with a visit to the Hiroshima Peace memorial. Impressive, and definitely provides food-for thought. After this we continued our touristic morning with a visit to the Kintai-bridge and temples near Iwakuni. Around lunchtime we were back at the seawall near Iwakuni’s runway 20 ready for things to come. A few civil flights and military charters kept us entertained. 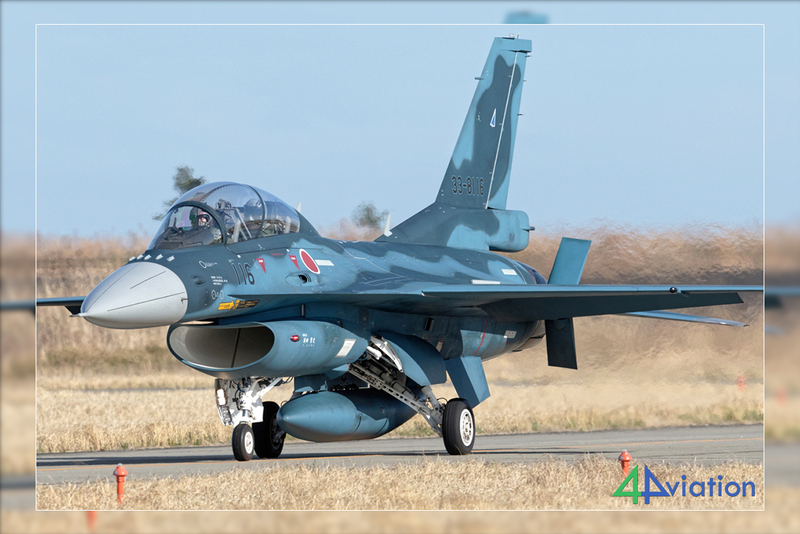 After 4x F/A-18s made a full stop, it got quiet and we decided to board our vans for the drive to Japan’s south island Kyushu. The Monday (24 April) started with glorious sunshine. 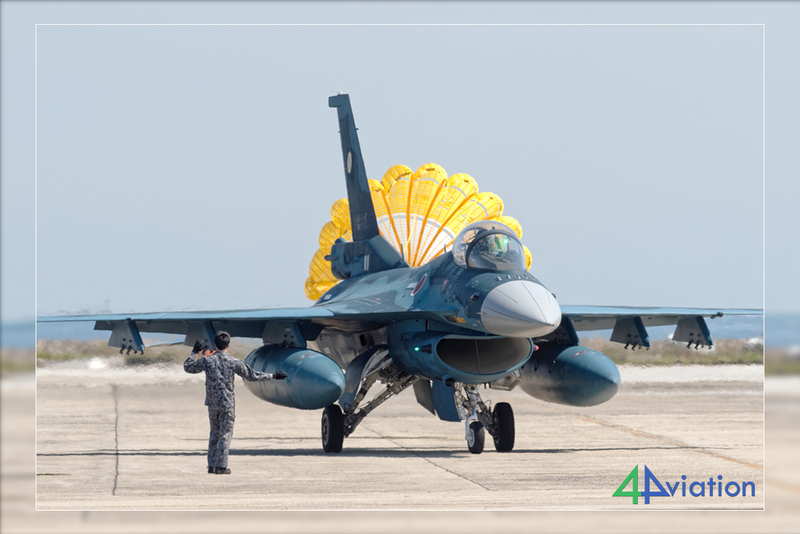 With the prediction of seeing a fair bit of F-2 activity at Tsuiki, spirits were high. We had no issues finding the spot at the seawall. To our surprise a large number of Japanese enthusiasts were present. 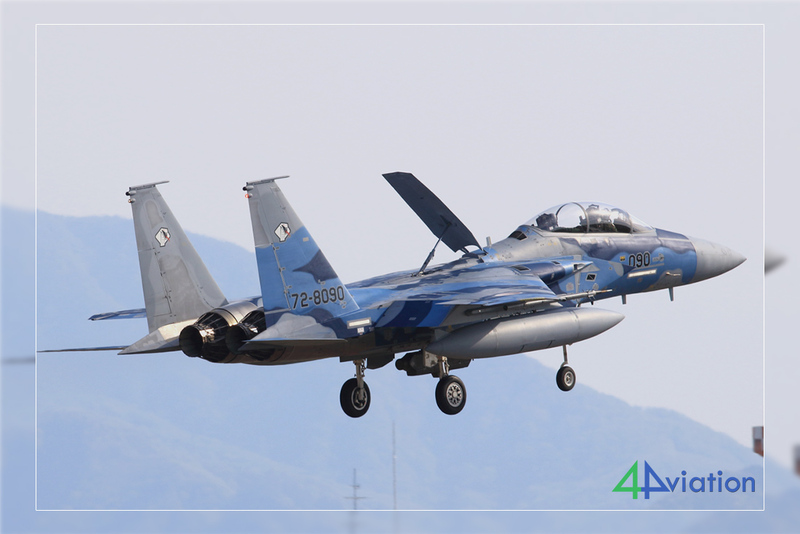 This turned out to be for the departure of Blue Impulse after a weekend stop at Tsuiki. The 2 local squadrons each flew 3 waves this Monday which could be photographed beautifully from our location. In the afternoon, as light got progressively worse at the seawall, we relocated to the other side of the field to bag the recoveries of the last wave of F-2s and called it a day. This Tuesday (25 April) had another full schedule. 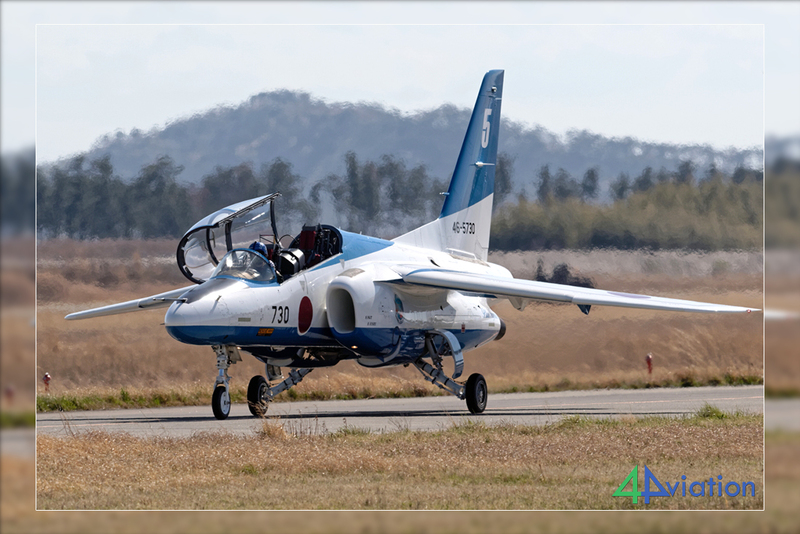 We started off with a short visit to Japanese navy training base Ozuki, where the basic flying school operates a large number of T-5 trainer aircraft. This base has two runways and unfortunately due to the prevailing wind, they used the runway which is less favourable for photographs. 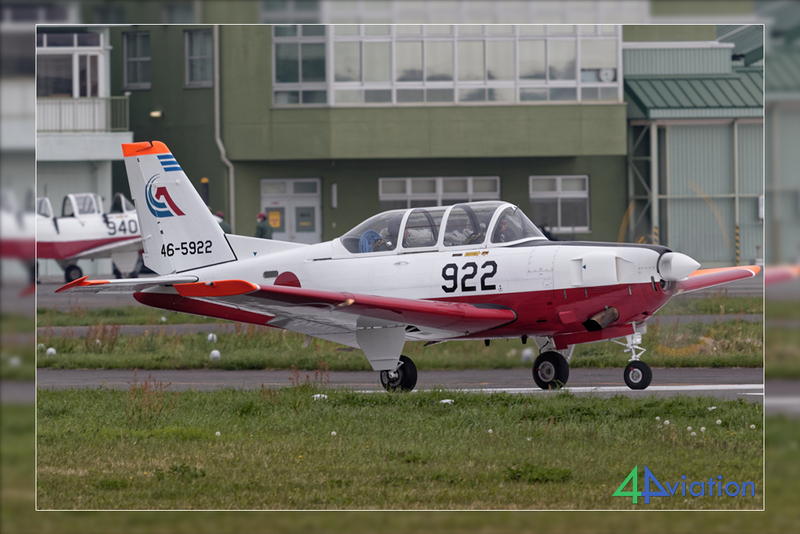 We photographed a handful of T-5s and quickly moved to Hofu, where the Japanese Air Force has a flying school with T-7s. Here it was rather quiet, probably due to strong wind gusts. A visiting C-1 departed and a few T-7s took off but then it became quiet again. We wasted no time by hanging around so back in the cars and onwards to Iwakuni. 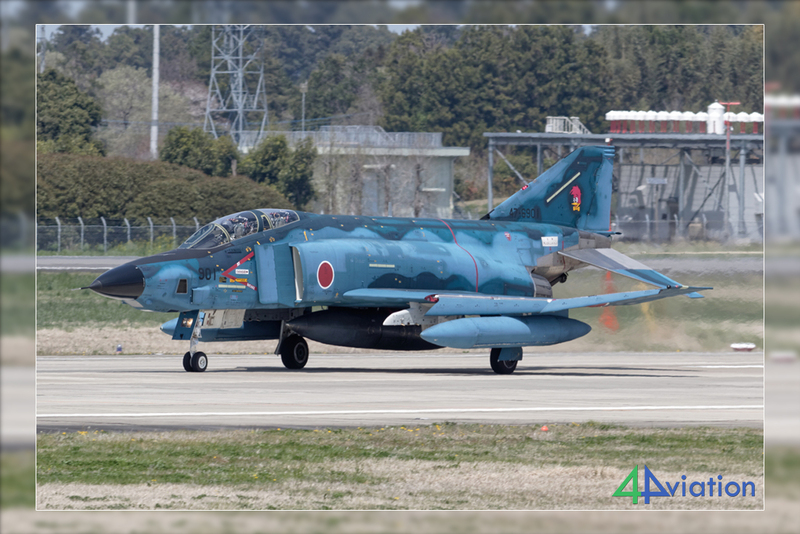 At Iwakuni they were operating from runway 02 which is a bit more challenging for photography. 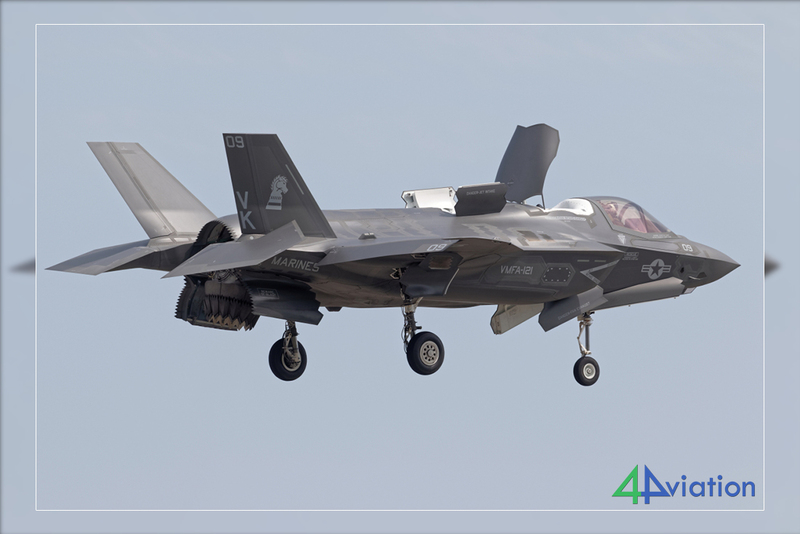 We were entertained by a few MCH-101s, a US-2, ‘the’ US-1, a P-8 and a few flights of Hornets. As we still had a long drive ahead of us to get to Akeno the next morning, we packed up around 4 o‘clock for a couple of hours of Japanese toll road until the next hotel. 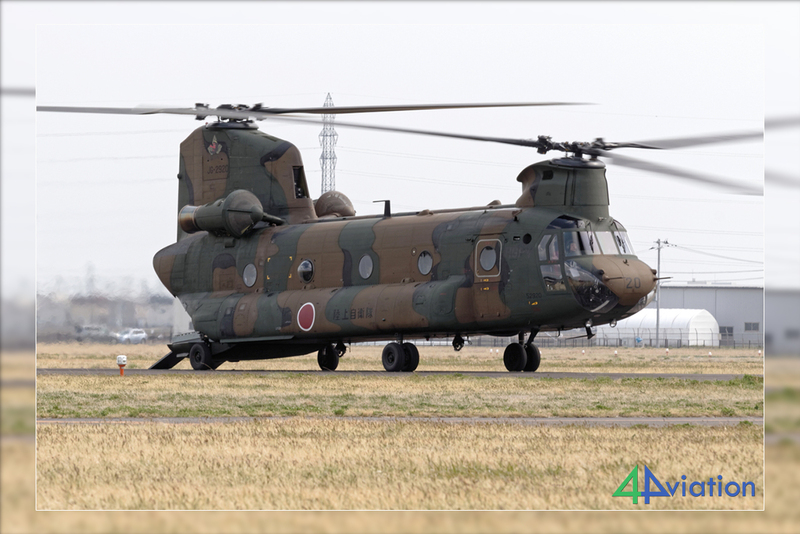 On Wednesday 26 April it was time for the Japanese Army to show off their hardware and increase our count of helicopters. Therefore we went to Akeno. Contrary to most days, today commenced with overcast skies. Not ideal to photograph the rather dark colours of the JGDF. 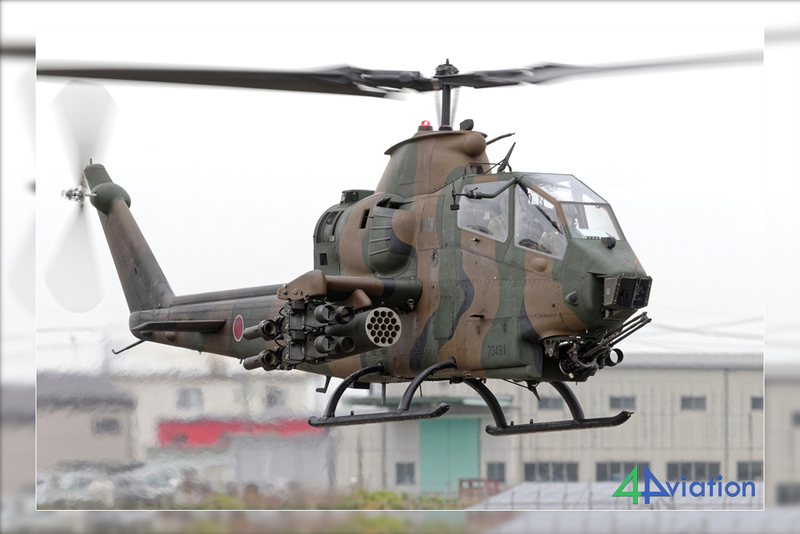 Fortunately at Akeno, hovering helicopters get close to the fence and one can work with a variety of backgrounds, so good shots can be made regardless. This morning we were served a cocktail of OH-6s, Cobra’s, Apache, Blackhawk and a handful of the blue Enstrom 480s. Around 11 o’clock it was time to get on the road again for our second destination for the day: Gifu. However, the weather had other ideas. The grey skies we had at Akeno quickly turned into persistent rain. Upon arrival at the spotters location at Gifu it was pouring down. 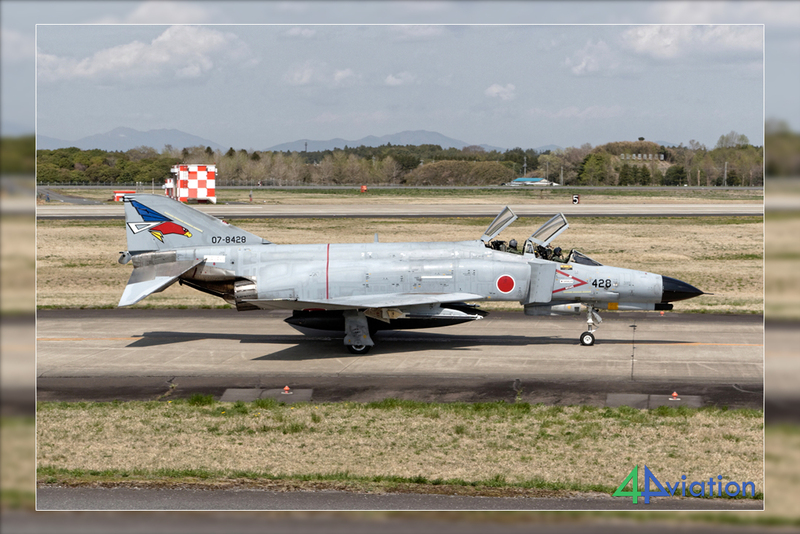 The complete lack of Japanese aviation enthusiasts and zero scanner activity made us quickly dash to the (closed) museum to see the few aircraft on display outside and then drive to nearby Komaki to see if there would be anything going on over there. Komaki was pretty much the same story. 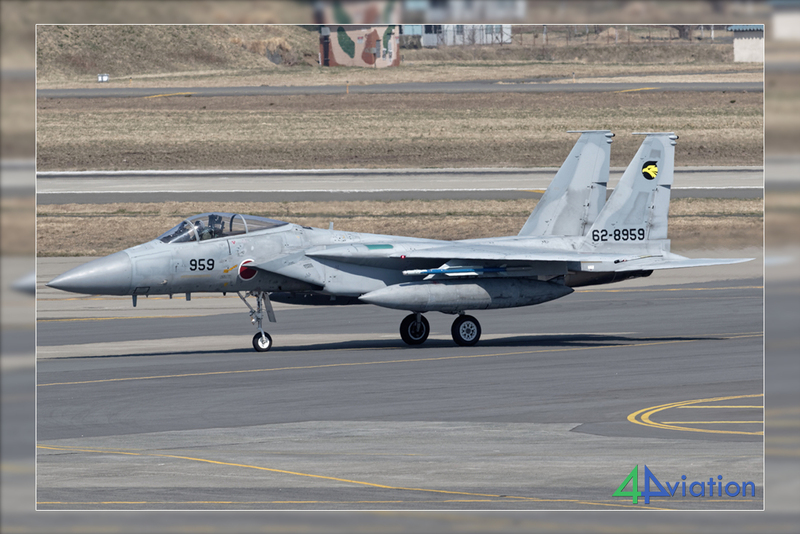 1 KC767 departed and returned within the hour after which we decided to drive across the mountains to Kanazawa with the fingers crossed weather would be good to see the F-15s at Komatsu on Thursday. After the persistent rain of yesterday, Thursday 27 April started much friendlier with sunny skies once again. From the hotel it was only a short drive to Komatsu. We started off at the roof terrace of the civil terminal to see what was on the platforms and at the same time find out in which runway direction they would be operating at. It turned out we needed to be at the west side of the field to catch landings. This area is a bit of a ‘trying’ area due to lots of trees and shrubs. With patience and a bit of luck some good photos were made, certainly helped by the non-stop flying of the based squadrons. Around lunchtime we visited the museum and souvenir shop after which we went back to the terminal terrace to await the afternoon launches. The first afternoon wave still took off in easterly direction but then they changed the runway around. We grabbed the return of the first wave from the terminal hoping for the Aggressors to launch next. And they did! 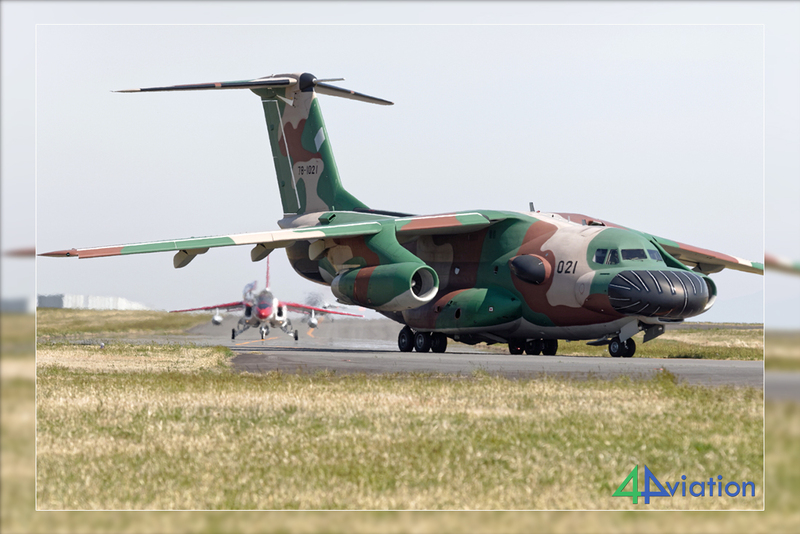 A 5 ship went out and after having photographed these beauties in their take off runs, we relocated to the park at the east of the base to capture the recoveries. Once flying was finished, we packed up for the long drive towards Tokyo. Friday (28 April) was set up to be a repeat of the Thursday of the first week. This was agreed among the participants of the group, since this day was a spare day on the itinerary. 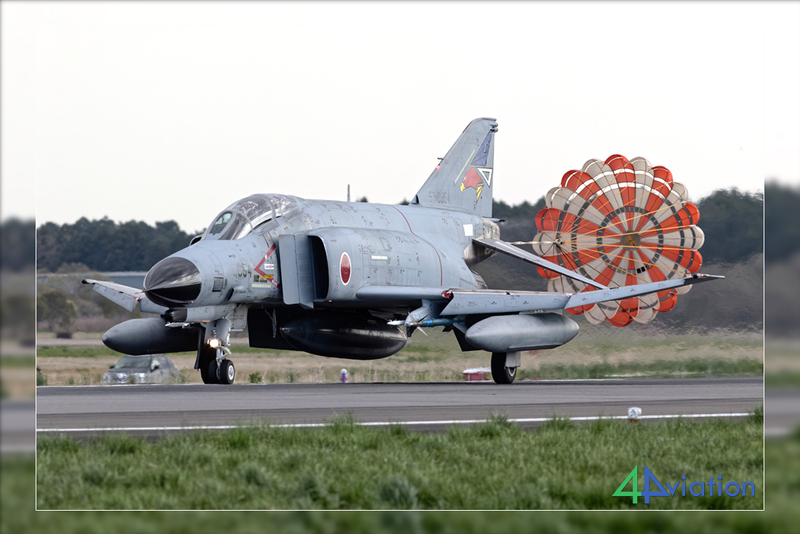 So an early start at Iruma to capture the morning departures and then on to Atsugi to spend the rest of the day. 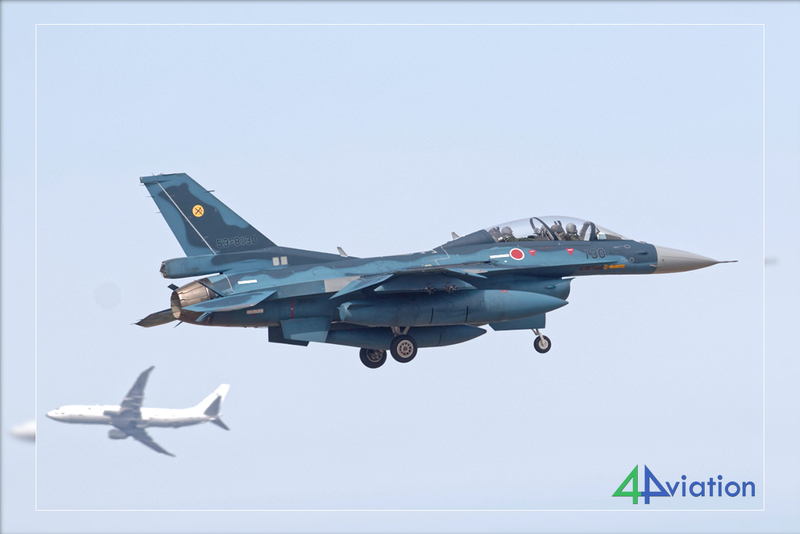 Contrary to last week, Tokyo traffic didn’t seem particularly heavy so we arrived well in time at Iruma. Again, Iruma did not disappoint. 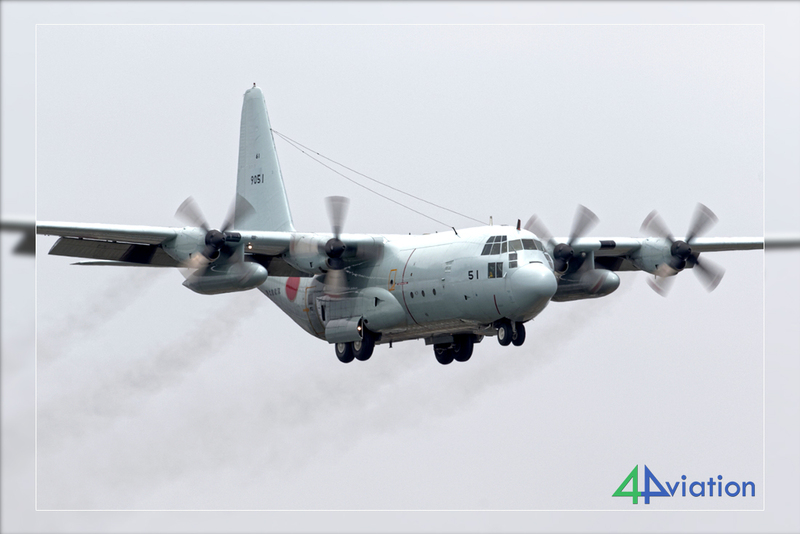 The aircraft that taxied out in front of us were once more varied and included a nice C-130 from Komaki and for a second time this trip the unique EC-1. After the wave had launched it got quiet and we boarded our vans heading for Atsugi. Atsugi yielded its usual varied mix of US and Japanese aircraft. 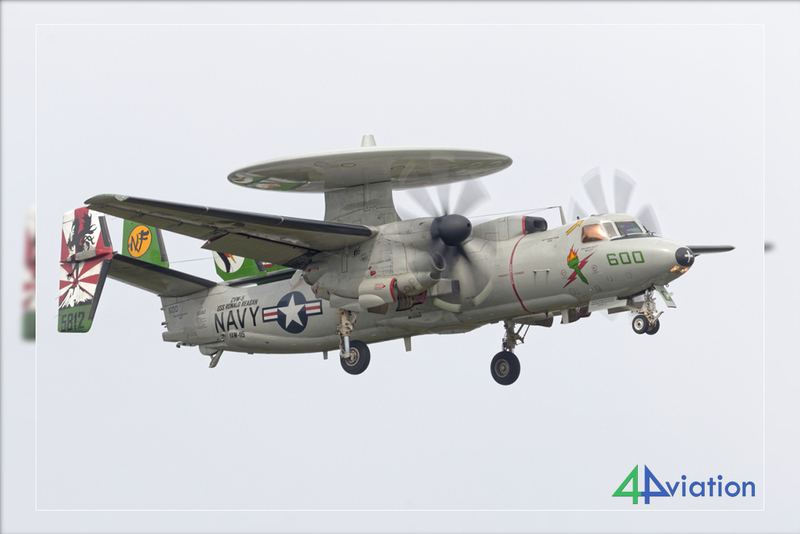 Highlights were 2 brand new E-2Ds from VAW-125 of which 1 stayed behind for the 2017 Spring Festival this Saturday. 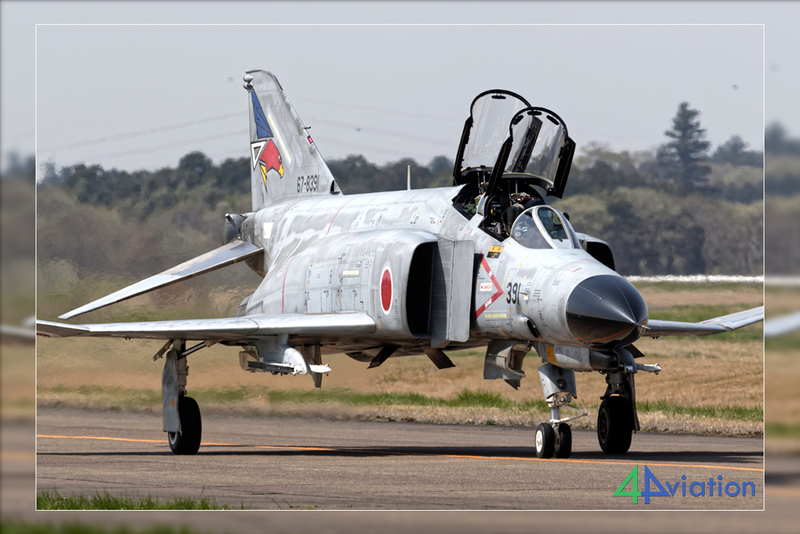 This Saturday (29 April) was the annual Atsugi Spring festival. This is an open house to boost Japanese-American relations. As had been the case for most of our trip, the weather was perfect. 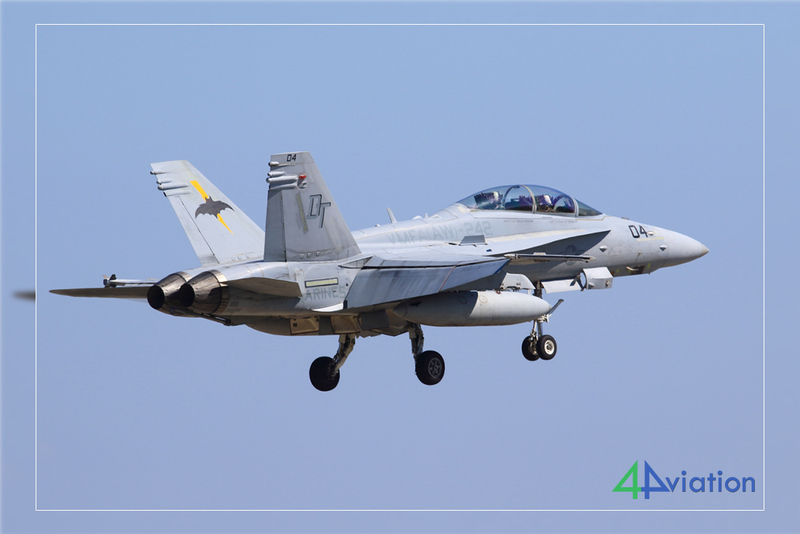 The show consisted mainly of a static show of each of the Japan based US Navy squadrons. Of course they want to show off their commander birds to the public. 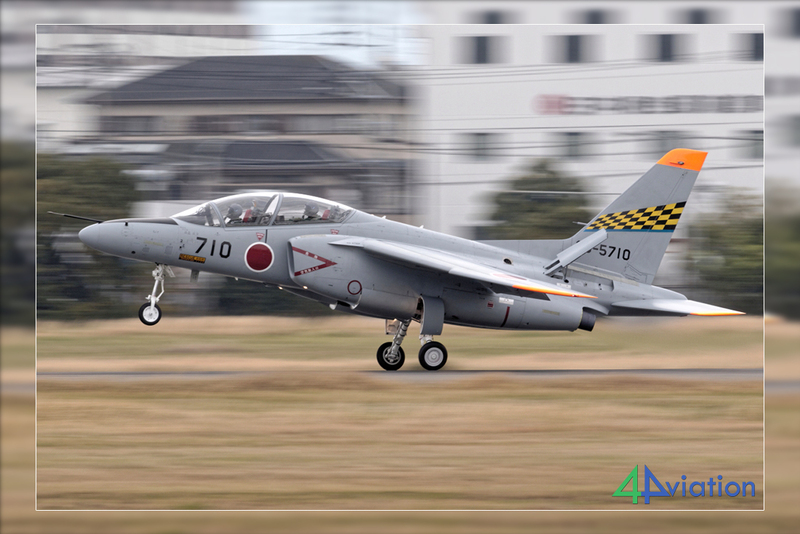 Also the Japanese Navy had one of each of their based aircraft types on display. 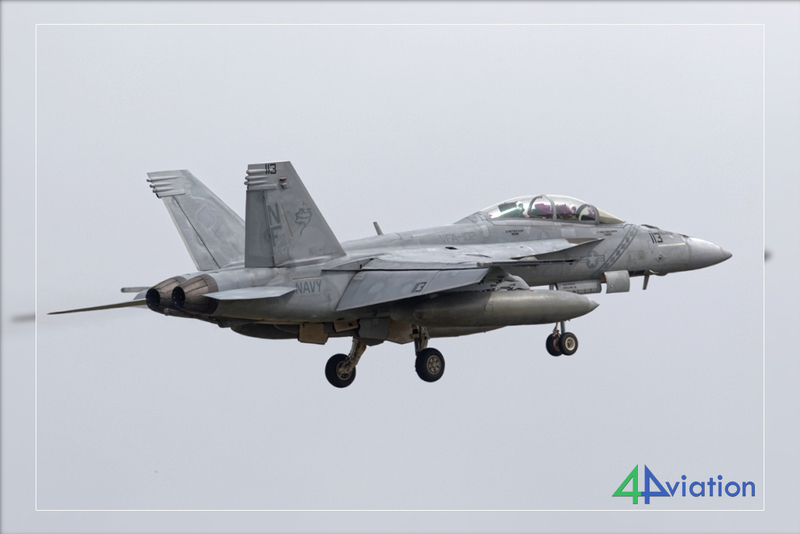 There isn’t a flying display as such, but CVW-5 launched a handful of aircraft and a few helicopters to give an impression of normal flight operations. 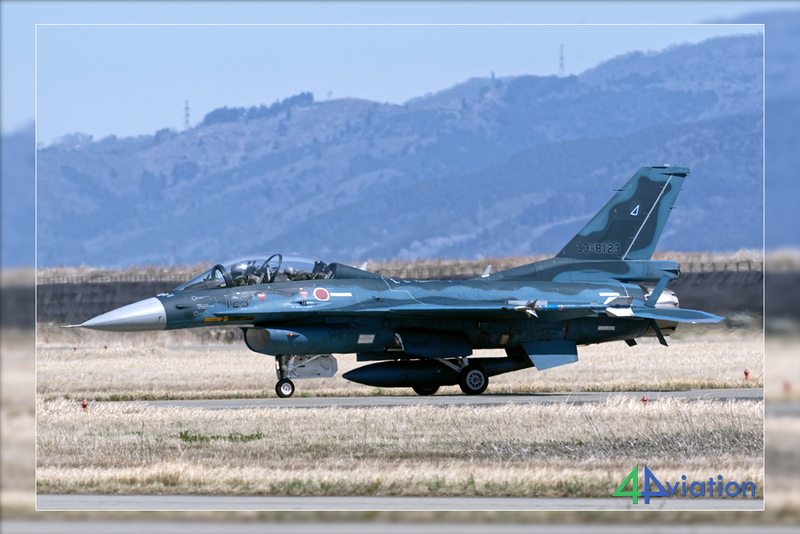 All in all a nice event, probably the last time of this scale at Atsugi due to the imminent relocation of the air-wing to Iwakuni. After the open house, it was time to drive back to Narita, drop off the rental cars and spend one last night in Japan before our flight back to Europe. On Sunday 30 April we started our journey back home. Checking in and all other formalities went smooth. After an 11 hour flight we arrived back at Schiphol. At Schiphol we were ‘treated’ by one of the longest walks ever to get to the luggage carousel. Here we said goodbye to each other, looking back at a very successful trip and looking forward to next adventures.